Honestly, these months are going by so fast! June's been a little stressful for me for several reasons, but a combination of little things have been getting me through. 1. Having Love Island back on my screen! Yep, I'm one of those people who is currently glued to my screen at 9pm every night. I'm not even sorry! Love Island coming back on my screen has made me so happy (even though this season isn't a patch on the previous, if you ask me) and it's been a really good excuse to make sure I have all of my work done by 9pm so I can watch it! 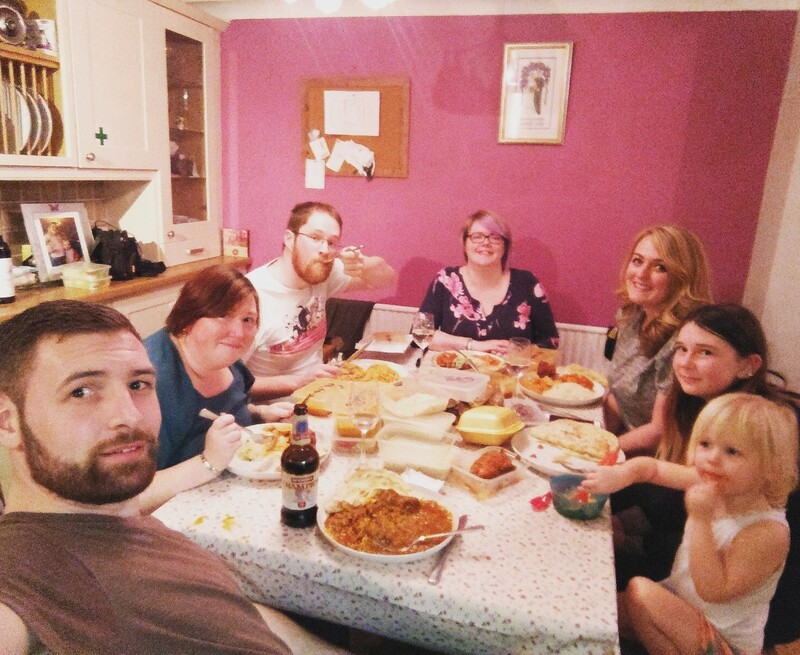 I've probably mentioned this kind of thing in a tonne of previous Happiness Journal posts, but time with my non-blood family is something I cherish so much. At the beginning of the month, we took advantage of the sunshine and had a little BBQ and it was so lovely to just all chill out together and eat until we napped. 3. 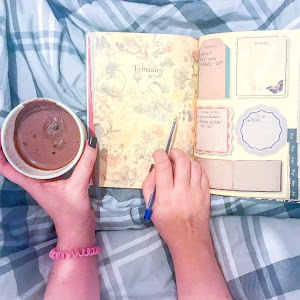 Getting back into a blogging routine. I've had so much going on for the last month or two that I felt like I'd fallen out of my blogging groove. I wasn't anywhere near as organised, I was missing posts left right and centre... and I was kicking myself for it, in all honesty. 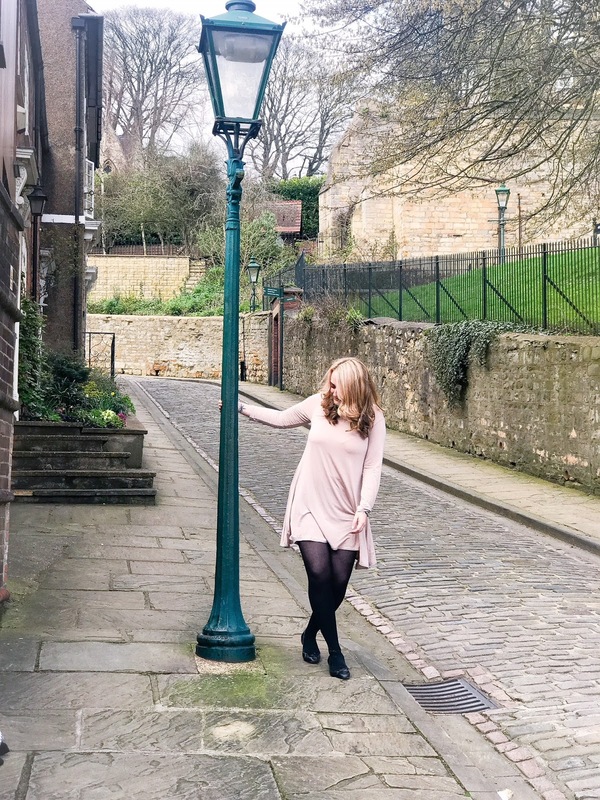 I had a serious case of bloggers guilt, and I really missed being active on social media and creating. In the last few weeks though, I've got myself together and I'm finally back into a routine which I'm comfortable with. Summer has finally arrived and I couldn't be happier about it. 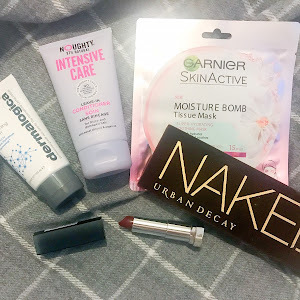 I love switching up my beauty routine ready for the warmer months, putting away my heavy foundations and thick eye make up in favour of lightweight formulas and anything with a glow. I've teamed up with Clive Christian and their range of summer perfumes to share with you my summer beauty must-haves, all of which will be at the top of my stash for the foreseeable future! 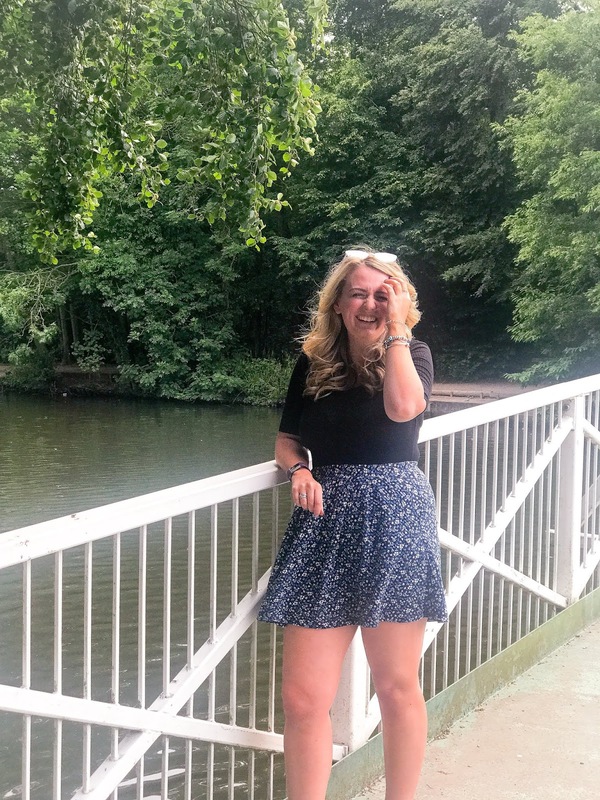 I've recently learned the importance of a great self-tan, especially when I've been a staycation-er for the last few years and my chance of getting a proper tan is pretty limited! I raved about the St Tropez One-Minute Mousse when I was kindly gifted it earlier this year and I'm still just as obsessed. It's so easy to use; pop it on, wait a minute, hop in the shower and done. 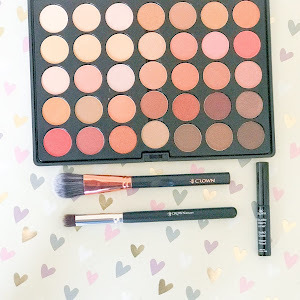 It fits in perfectly with your daily routine and gives a natural sun-kissed glow, with no streaks! 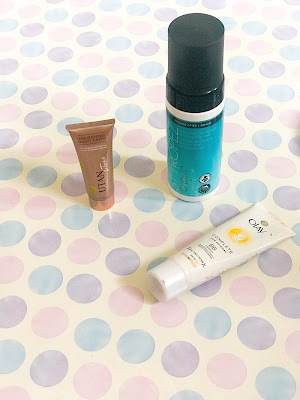 To finish off the sun-kissed look, I've been loving the Utan Bronze and Tone night creme. This is designed for your face and you simply pop it on overnight and it builds a gradual tan. The cream is really lightweight and the glow it gives is gorgeous! For me, there's nothing worse than it being the height of summer, and having to wear a full-coverage foundation. You know when you feel like you can't touch your face without half of your foundation melting off? Yep, that. 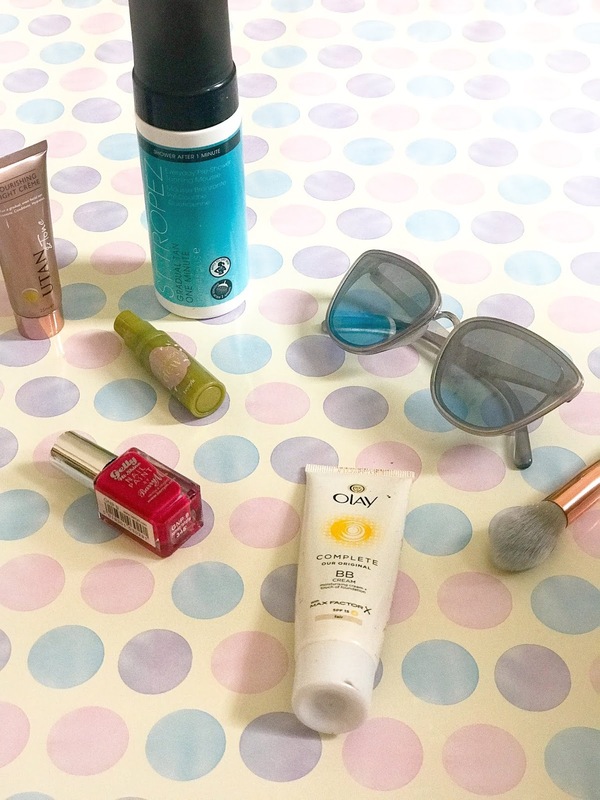 Whilst the sun has been out, I've absolutely sworn by the Olay & MaxFactor BB Cream, I've been using it for years and it gives me just enough coverage to cover any blemishes and even out skin tone without feeling too heavy on my face. 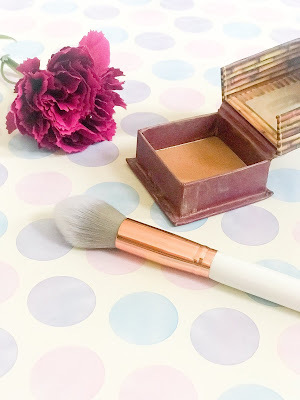 I haven't really been a big fan of Benefit's Hoola Bronzer until recently - I always thought that the colour was much too strong for me and it just didn't really suit. 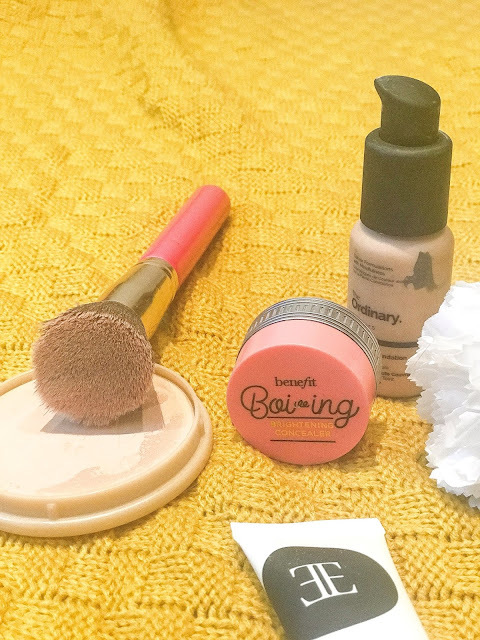 It wasn't until I mentioned it to one of the Benefit girls when I went to have my eyebrows done that she showed me a couple of little tricks to create a more natural look, including blurring out the edges with a normal powder. Since then, I've been loving it. It hasn't left my make-up bag, it's perfect for giving your face a sun-kissed look for the summer. During the winter, I'm all about greys, deep purples and red nails. But as soon as the sun starts to come out, I love changing it up to brighter colours. 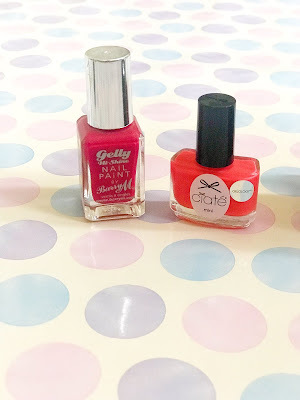 Barry M and Ciate are two of my favourite nail polish brands because they're hard-wearing and chip resistant, and these are two of my perfect summer shades, pink and corals, yes please! In the warmer weather, my already thick and flyaway hair can go a bit nuts. It's the humidity! A good hair oil is essential for me to tame my locks. I discovered the Hallelujah Hair Oil from Forest & Shore a few months ago and I have never looked back. It's been working a treat at repairing my damaged hair, with the added bonus of smoothing and taming it during the humid weather. *This is a sponsored post, but all work is my own. 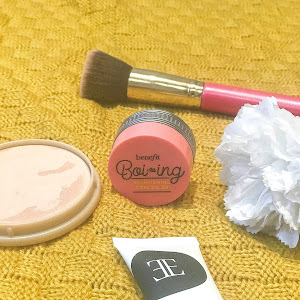 I have certain products that I swear by for a flawless finish, these never leave my make up bag, and I repurchase them time and again because I couldn't live without them! The key to a fabulous base is a good primer. 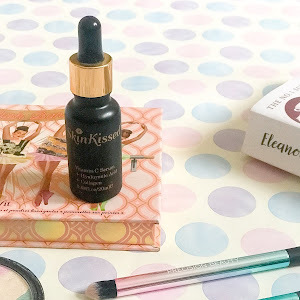 I received this one in a Glossybox a few months back and I've been loving it ever since. 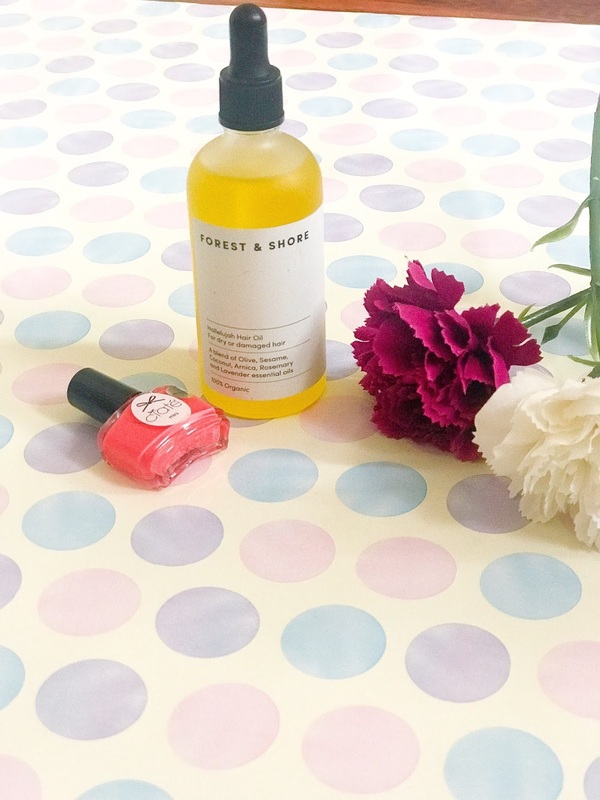 It's infused with green tea (who knew it could do so many things?!) and it's as lightweight as a moisturiser but it leaves you with the perfect canvas for your make up, leaving it really smooth and refreshed. I talked all about this foundation in a previous post - but I'm still as obsessed. As someone with really dry skin, I was so worried that my skin would hate a full coverage foundation, but I couldn't have been more wrong. 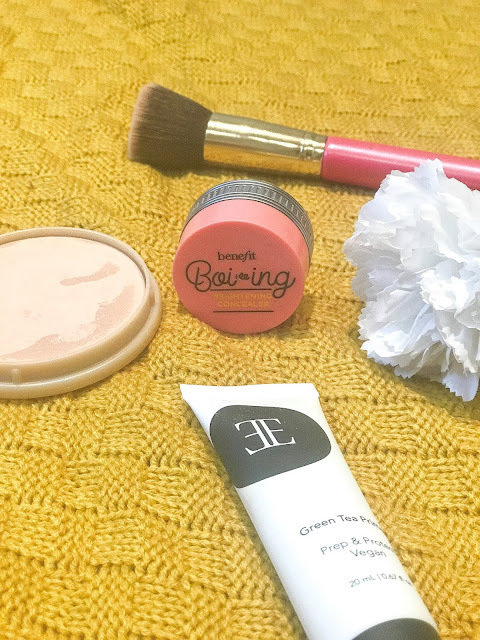 It gives a gorgeous finish, covering every little blemish and evening out skin tone without feeling like you've got too much on your face. This has been one of my favourite concealers forever. Industrial-strength, covers dark circles like an absolute dream and is so glowy. It's the perfect concealer for if you want a dewy finish, but still need a decent amount of coverage. A little of it goes a really long way, which makes the £20 price tag a little more bearable too! The concealer everyone has been talking about recently! I couldn't resist picking up and seeing if it was worth the hype. And it totally is. I tend to use this when I fancy something a little more matte, but it still gives amazing coverage without sticking to my dry patches. 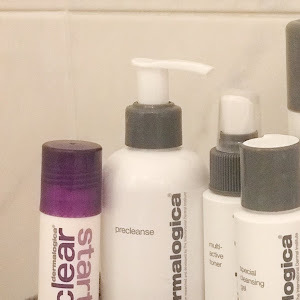 What are your go-to base products? 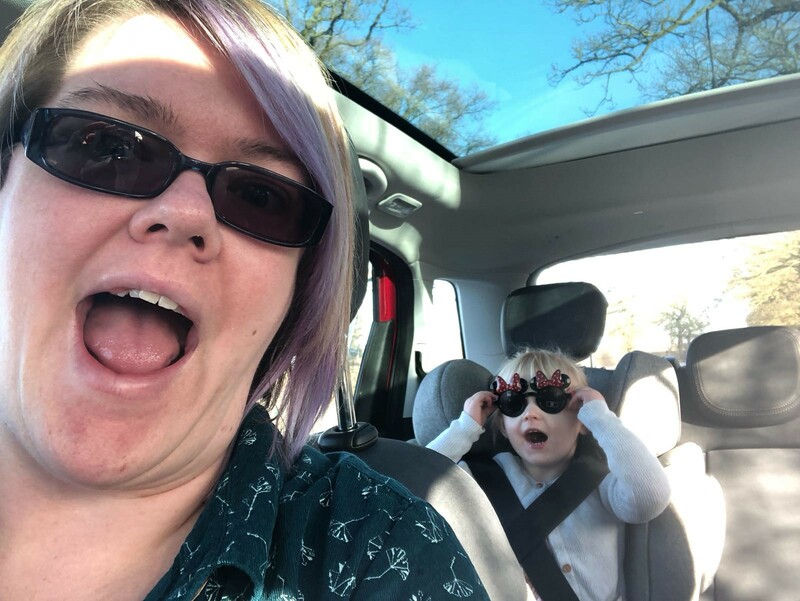 I love being nominated for these blog awards - the posts are really fun to write, plus they give you all a little insight into the person behind the blog! 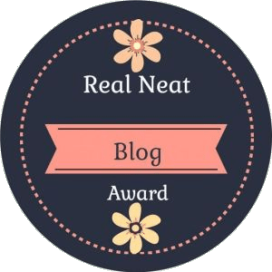 I was nominated for the Real Neat Blog Award by the lovely Holly, I've actually not heard of it before now but I was still thrilled to be nominated! 1. Put the award label on your blog. 2. Answer the 7 questions asked by the person who nominated you. 3. Thank the people who nominated you and link to their blogs. 4. Nominate any number of bloggers you like, include links to their blogs. 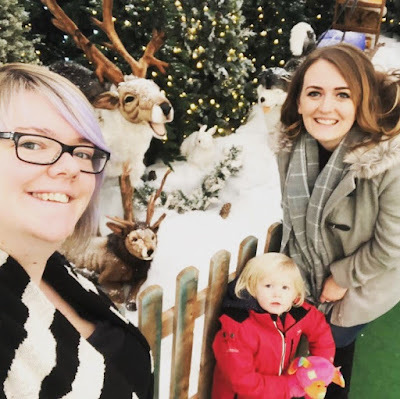 I started blogging while I was at uni - I was studying Journalism and I'd been toying with the idea of starting a blog for ages. 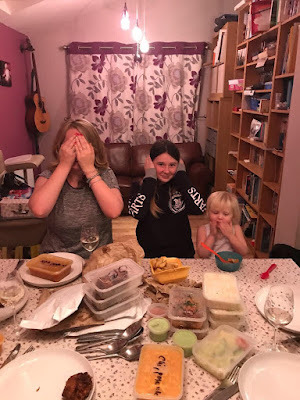 I went to my friend Fii's house for our usual cup of green tea and catch up, and I knew she blogged and asked for her help because I just didn't know where to start. 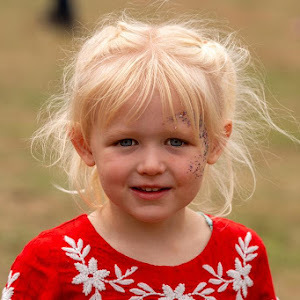 She helped me to get everything set up that I needed, choose my inital blog theme and even took some first photos for me. And I fell in love with it almost instantly! 2. What's the most difficult thing you've ever had to do/overcome? This is a difficult one... I think it's something which I don't wish to talk about on my blog, at least for the time being. It was only recent and the pain is still pretty raw on that one. A close second though, was sitting in front of my dad after four years. It didn't have the outcome I'd hoped for, and it took a hell of a lot of guts for me to even get there, but I was so glad I did it. 3. What's your favourite blog post you've done and why? My favourite post is called Heartbreak, which I wrote just after my last relationship ended. I found it so therapeutic to write, and when I read it back just before posting, I couldn't believe those words had come out of me. It sounded so raw and real but also one of the most well-written posts I've ever done. I'm really proud of that one. 4. When was the last time you laughed uncontrollably? What happened? Friday afternoon. Everyone in my office had got a little bit of the Fri-YAY hysteria and all of a sudden one of the lads turns round and says 'can you guys floss?' I thought he meant flossing my teeth at first, then I remembered it's that dance that all the cool kids are doing these days. He stood up and attempted it, but it looked more like a thrusting dad dance. In the end, we all had to get up and have a go at it, but we were all rubbish, and all in absolute stitches with tears rolling down our faces at the end. 5. Do you have a guilty pleasure? What is it? I have guilty pleasures that aren't all that guilty, to be honest! Made in Chelsea, Love Island, Michael Buble, Little Mix, the list goes on! 6. What is your favourite memory from 2018 so far? Sitting in Sheffield's Peace Gardens in the sunshine last month. It was beautiful weather, I had an iced tea in hand, and I was home. 7. Do your friends and family read your blog? Some do, I think. My best friend is my biggest fan, my sister reads it when she remembers, whether anyone else does I'm not really sure! I'd like to nominate anyone who would like to do it! But hey, why do they say I'm basic like it's a bad thing? 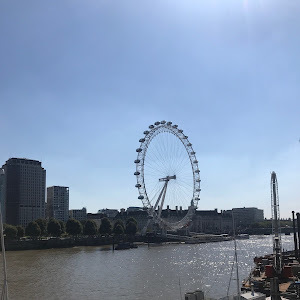 We live in a world which is all about fitting in, but there's also a negative connotation with not being different enough, or not being a bit edgy? Up until recently, I've found myself trying to justify to people why I am this way, or downplay characteristics, interests or behaviour that will make them think I'm 'basic'. But you know what? I've decided to embrace it. Yep, I'm basic. Autumn is my favourite season. I love watching the leaves on the trees change colour. There's a slight chill in the air but it isn't too cold. It's perfect scarf weather (and I love scarves.) And there are few things that are as joyful as crunching through leaves. I do get a bit excited when Starbucks bring back the Pumpkin Spice Lattes. They taste delicious, okay? I love rose gold things. Especially homeware. Copper is also very pretty. I happen to love my dragonfly tattoo on my wrist. I'll never be the kind of person who has large tattoos and I'll never even consider a sleeve, but that doesn't make it okay for heavily tattooed people to roll their eyes at me. I love a good musical. My all time favourite is Wicked, which I could sing to you backwards. You'll almost always find me with a cup of coffee in hand. Not because I think I look cool with a takeaway cup, but because I'm just really tired and need the caffeine. I own a lot of Pandora jewellery, and I'm a firm believer that I'll never own too much of it. I am the kind of person who will take a photo of their food before they tuck in if it looks especially delicious. Always thinking of the 'gram. But, all of these things combined which apparently make me basic, doesn't make me any less intelligent, or kind, or any less myself. And if that means I'm 'typical', then so be it. Let me take joy in these little things. Yep, I'm a basic girl. On the plus side, that makes it very easy to buy me Christmas and birthday presents!